After a season back at Oklahoma, Steve Spurrier Jr. is heading back to an on-field coaching role, according to multiple reports. 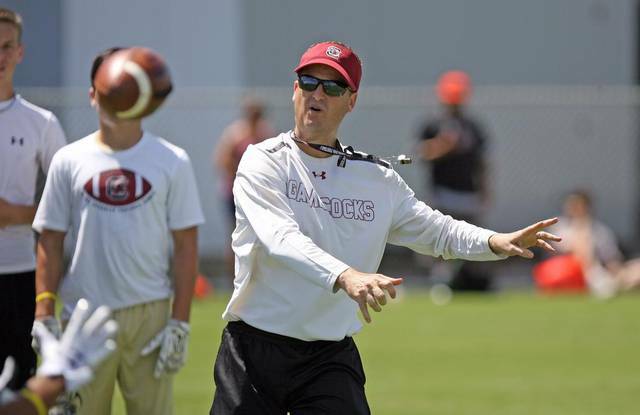 Spurrier Jr., who has been the Sooners' director of high school recruiting and offensive specialist since returning to Norman earlier this year, will become the quarterbacks coach and assistant head coach at Western Kentucky, according to Fox Sports. The Bowling Green Daily News was the first to report that Spurrier Jr. would join Mike Sanford's staff with the Hilltoppers.